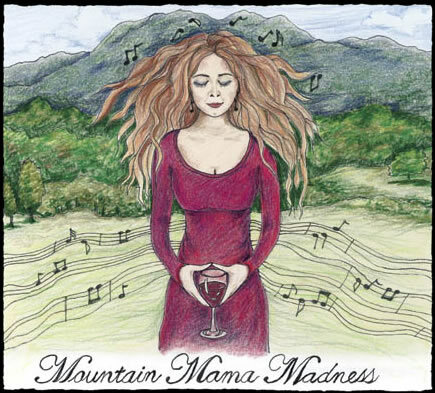 Mountain Mama Madness is a gathering of more than just a group of women who love to sing. It is a phenomenon that occurs when we come together to share, laugh, play, trust, take risks, and find our individual and collective voices. With courage and connection, we find and affirm our true selves and exercise our fullest capacities. Since 2005, Kathy Scott and Kari Sickenberger have been organizing singing weekends for women in Kathy’s north Georgia mountain cabin in the woods. Aptly named Mountain Mama Madness, these workshops have become cathartic and valuable for the singer wannabes as well as for experienced singers who want to expand their repertoire and improve their vocal and harmony skills. Sorry, gentlemen, these weekends are for women only. Every weekend has a theme and a set of songs to learn and explore, while we explore our own selves, voices, and each other. If you have ever wanted to sing your heart out but wished you could do it in a place where only the bears could hear you, these weekends might be just what you have been waiting for. As many Mountain Mamas will tell you, even if you have never heard of the genres or artists we will be exploring on a given weekend, you will take away much more than you could imagine with the always supportive and generous spirits around you. Kari has many years of experience in leading singing classes and workshops and draws on her decades-long career as a Spanish and English teacher and her lifelong love for traditional and original music to create a safe and encouraging environment for new and experienced singers alike.